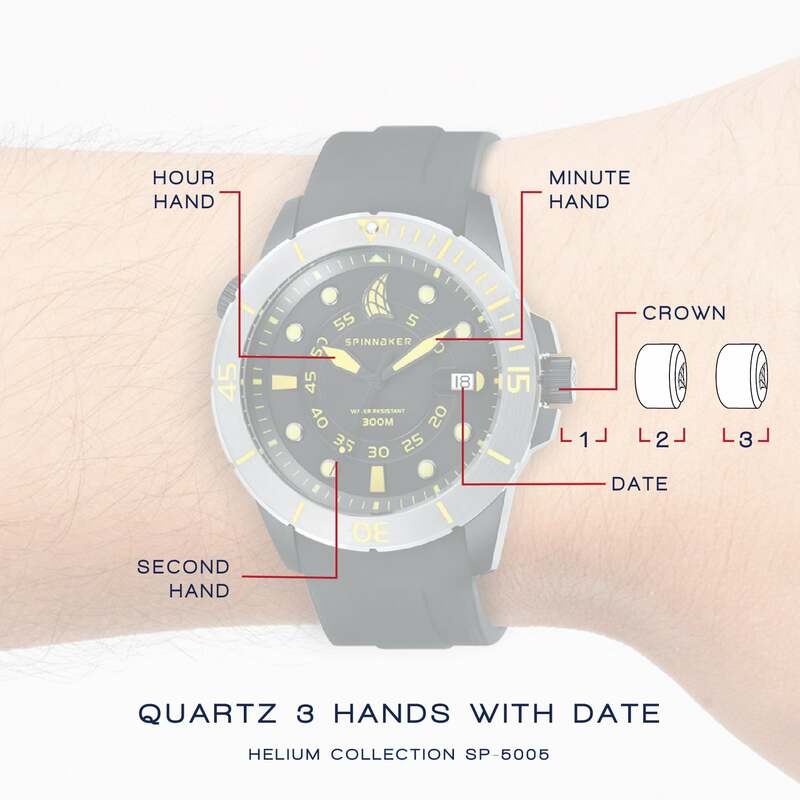 The Helium range most notably features a working Helium release valve at the 10 o'clock position offering this highly technical element feature on the Helium within easy reach to the wearer. With 300m of water resistance, a robust unidirectional time elapsed bezel, super luminous hands and indexes designed to deliver legibility and visibility in all conditions, the Helium checks the boxes both in terms of style and functionality for the modern divers watch. 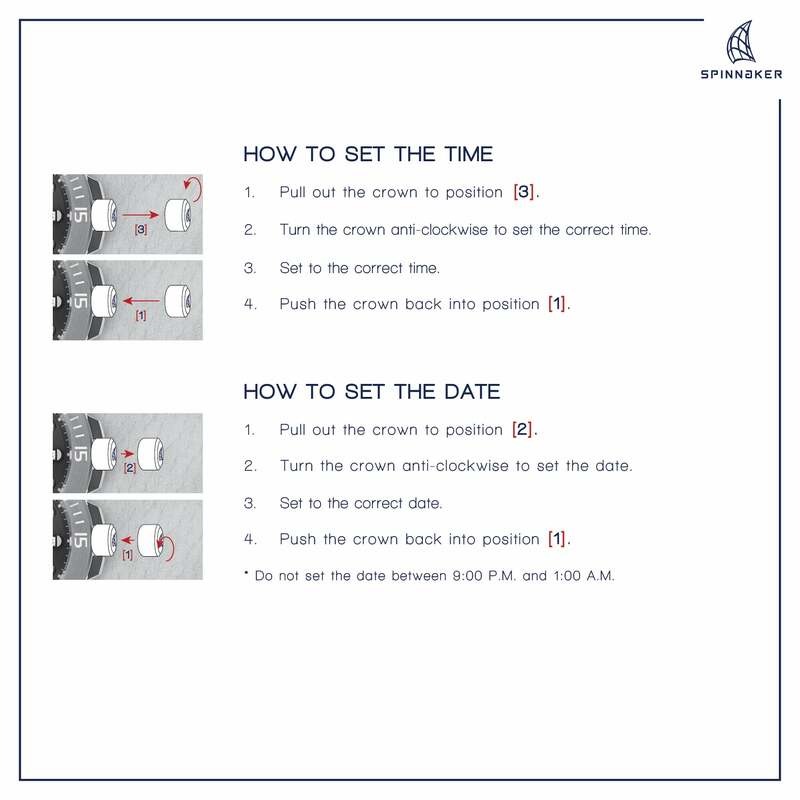 Available in a range of traditional and nautically themed palettes , the Helium is capable of taking wearer from hard nosed diving expeditions to land side adventures at an instant.The Pro-diver series of watches from Spinnaker, are built to withstand the rigours of the oceans. 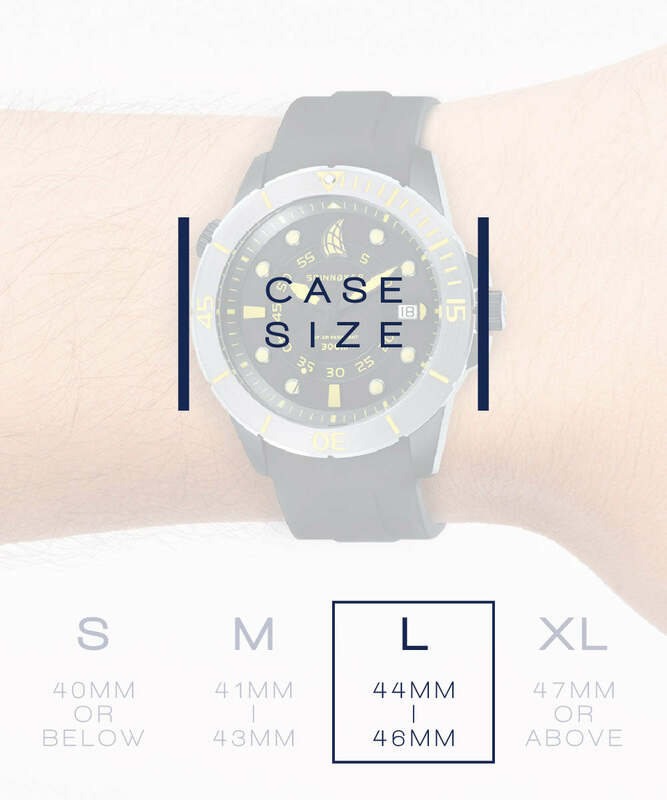 Marine Grade Stainless steel is forged into devices designed to keep time under the most demanding of conditions with an eye for functionality, legibility, endurance and reliability. The Helium series features an operational Helium Valve at the 10 o'clock position, yet still makes for a comfortable and durable diver watch suitable for nautical professionals and enthusiasts alike. Super Luminous Indexes and hand with clear minute calibrations on outer tension ring. 46 mm diameter, Solid 316 L Stainless Steel Case with Hardened Mineral Lens and Unidirectional Aluminium Turning Diver Bezel. Water Resistant to 30 ATM.